Now that the longer days are here, horse owners are ready for the warmer days and longer rides, more time out in the fresh air and the seemingly endless summer days. But at this point, those are day dreams, because first we have to get through one terrible season, some call it spring, but we call it mud season. This is the time of year that our snow covered pastures suddenly become mud pits straight from the Swamp of Sadness in The Never Ending Story. Only now, we have to pluck our own Artax from the sinking, sticky, boot sucking mud. A particularly annoying part of this season, besides cleaning the mud off your horse constantly and trying to find a somewhat dry spot to put hay piles, is the inevitable mud fever that comes along with it. 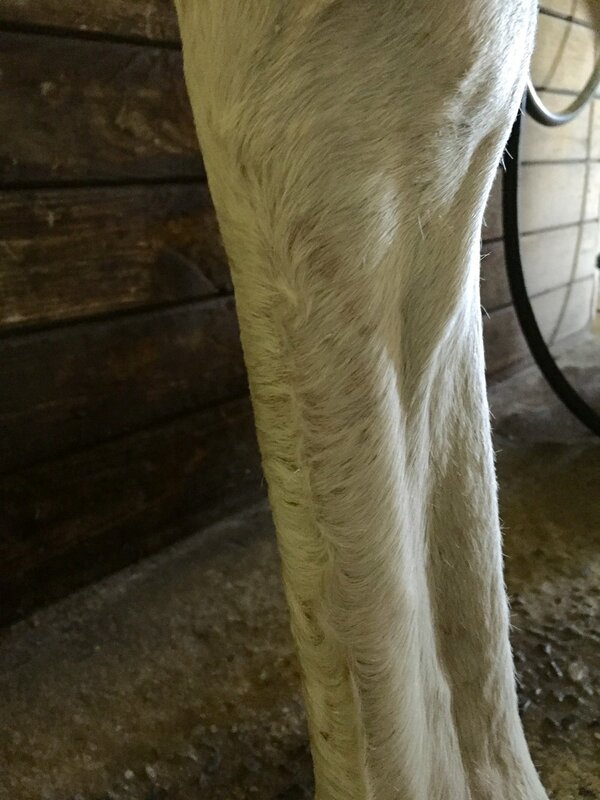 For some horses, no matter how much brushing, washing, scrubbing, drying and ointment applying that we do, they just seem to have this gunk stuck to their legs like glue. Here is the interesting thing about this bacteria, it’s in a family called actinomycetes. Actinomycetes behave like both bacteria and fungi. This is why the debate on how to treat mud fever lasted so long, it displays symptoms of both. Horses naturally have these organisms on their skin; they lay dormant until muddy, damp conditions cause them to flare-up. So, what if there was a way to keep this bacterium from flaring up and thriving? The solution to starving off this bacterium is to keep your horse’s skin dry. One option is keeping your horse in all winter, but most of us know that this is a terrible idea unless we’re looking for a bucking bronco to tear down the barn. Another option is daily washing, but this added moisture could actually fuel the bacteria. So, we need to keep our horse’s skin dry, but how? Well, lucky for horse owners, new products have hit the market that finally PREVENT and TREAT Mud Fever. They’re called COAT DEFENSE®, and they’re about to be your go-to grooming aids for keeping your horse’s skin clear and healthy. What is Coat Defense? COAT DEFENSE® Daily Preventative Powder is the first dry way to clean pastern areas with an anti-bacterial, anit-fungal layer which will destroy fungal and bacterial colonies before they erupt. In addition it is an excellent dry shampoo when it’s too cold for a hose or on a trail ride where water is not always available. It is also used under pads, wraps, boots, and blankets to prevent moisture and odor. Shake some in your helmet if it is stinky and it’ll instantly smell fresh. So what does COAT DEFENSE® DO that prevents and treats Mud Fever? It creates a drying environment, which prevents all bacterial and fungal growth. Simple as that, keep the skin dry, starve off the bacteria or fungi and prevent flare-ups. If you’d like to read more, check out our Results page! For the first time, you can keep your horse from getting mud fever! COAT DEFENSE® is offered in a powder and a paste; the powder can be brushed onto your horse’s entire coat, the paste applied directly to the pasterns and cannon bones. It’s like sending your horse out to the pasture with a coat of armor! 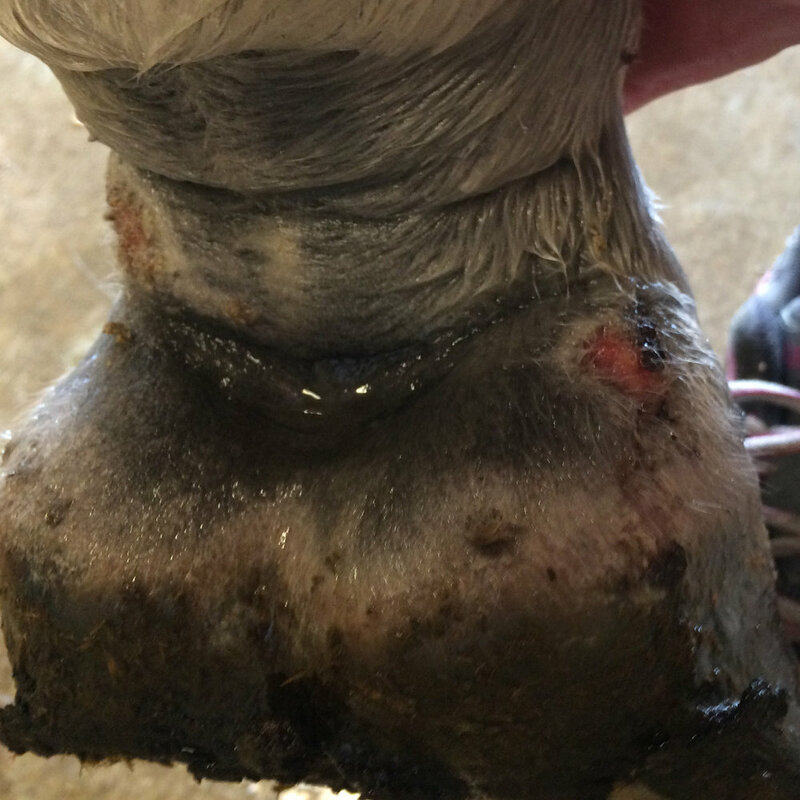 Imagine this, no scabs, no pus, no inflammation, no round of antibiotics, no mud fever. Just clean legs with a glistening coat. If you’re ready to give it a try ORDER YOURS NOW and stock up on your supply of the best defense around. Happy Mud Season! If you want to support your local feed store, check out our list of growing Retailers to see if you can pick it up locally. Happy Mud Season!